Mildred Maxine Detillion, age 81, resident of Shelby died Thursday morning August 23, 2018 at Crestwood Care Center. Born January 13, 1937 in Beaver, OH to Warner Davis and Mildred (Porter) Jose, she had been a Shelby area resident the majority of her life. 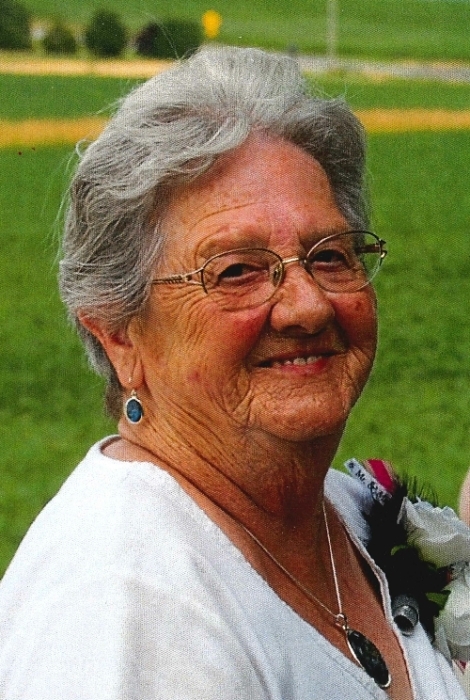 Maxine was a homemaker most of her life and loved spending time with her family, reading, crossword puzzles and cross stitching. Later in life she enjoyed working with her residents as Activity Director at the Park Ave. Villa and she retired from J C Penny. Maxine is a member of the Taylortown Community Church. She is survived by her husband, Ronald Detillion, whom she married June 14, 1952; her children, Regina (Ed) Craft of Shelby, Wanda (Dan) Hubert of Elyria , Rod (Rosie) Detillion of Shelby, Mike (Christine) Detillion of Shelby and Ronald (Marilyn ) Detillion of Cheyenne, Wyoming; 12 grandchildren, 22 great grandchildren; sister, Lou (Clarence ) Canter of Portsmouth; nieces, nephews and other relatives. Mildred was preceded in death by her parents; grandson, Scot Detillion; great grandson, David Daniel Hubert and four brothers, Russel, Wilbur, Frank and Weldon Gene Davis. Friends may call at the Barkdull Funeral Home & Crematory on Monday, August 27, 2018 from 5:00-8:00 PM. Funeral service will be held at the funeral home on Tuesday at 11:00 AM Pastor Doug Tackett will officiate with interment in Oakland Cemetery. Memorial expressions may be made to the American Diabetes Association.